I just wanted to say you hit it out of the park. I hope the rest of the summer and rest of the year are awesome for you. Here's to more deals in the future! You rock and it was great working with you! Just wanted to drop you a note to say thank you for your excellent work with our mutual clients. From begining to end you were on time and on top of everything. It was a delight to work with you. "Thanks to Jeanne and her incredibly efficient staff, we are now residing in our lovely new home! Even during the scary downturn in lending, Arete kept us afloat and pulled together our awesome financing, when no other lenders could. Thanks Arete! We couldn't have done it without you!" "I have used Jeanne at Arete Mortgage for three different mortgage products over the last 6 years and I will not use anyone else in the future. Jeanne is efficient, professional and thorough. She has always demonstrated a genuine concern about matching me to the right product. Jeanne is extremely knowledgeable about her business and she produces answers and results without excuses. She has always taken the time to explain the process to me and has kept me informed during every step of the mortgage and closing process. The added benefit of dealing with Jeanne is that she is fun and personable; a rare find when applying for a mortgage. I would recommend Jeanne and Arete Mortgage to anyone who needs mortgage assistance." "As a realtor in the area for the past four years, I've had a chance to work with many different service providers. Among all of those, Arete Mortgage stands alone in terms of the level of service and integrity provided to my clients. They are simply the best." "When it comes to mortgages, they know what they are doing. The staff at Arete mortgage worked really hard to complete our transaction and they did it in a very professional manner, while still having fun at the end of the day. I would recommend them to all of my friends and co-workers. They will get you the loan you are looking for and more..... "
"Anyone who owns a home should be thinking about refinancing, and I can't think of a more competent mortgage broker than Arete Mortgage. Jeanne and her staff are top of the line when it comes to integrity and professionalism. " "Who knew you could feel this way about a mortgage company? Jeanne and the entire Arete Mortgage team are amazing. I trust Jeanne to not just get me a mortgage, but to find the exact right financing for my situation. 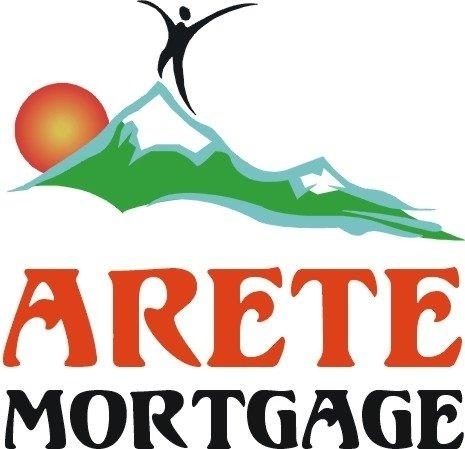 I have used Arete Mortgage for personal and business transactions. Jeanne comes up with ideas that I would never have dreamed of. Thanks Jeanne!"